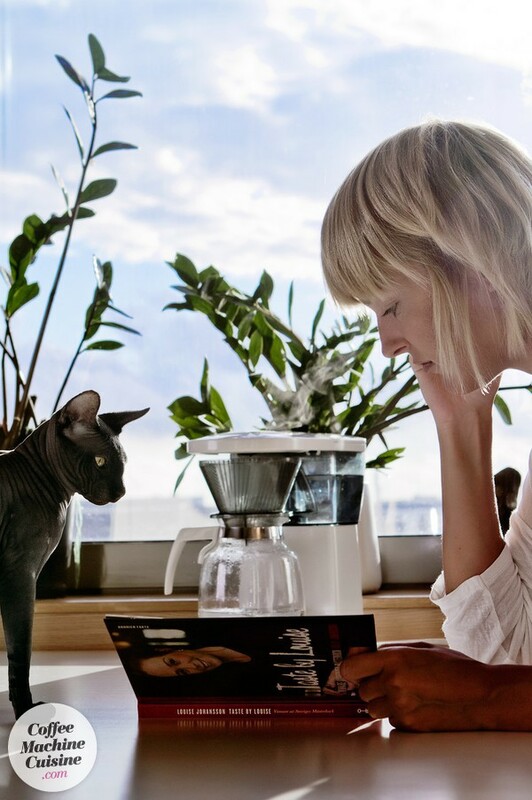 Speaking of ballz… A while back ago, when I posted the “How to cook a cat with your coffee maker” on my Swedish blog, some people got kind of upset. I got all kind of weird comments but especially one got me very confused. This one person called me a cannibal and I really don’t get it. I’m not a cat (regardless of what Chris Ramsey believes). Iggy is not a human. So if I ate her (or if she ate me) that’s not cannibalism? Then it would be cannibalism if I ate a chicken, a cow, a pig or even if I swallowed a fly. And isn’t it normal in like China to eat both cats and dogs? And most of the Chinese people aren’t cannibals, are they? No, that was just a really stupid comment that I got. But some people are kind of stupid and for those people I followed up with this next recipe, just to clear things out. 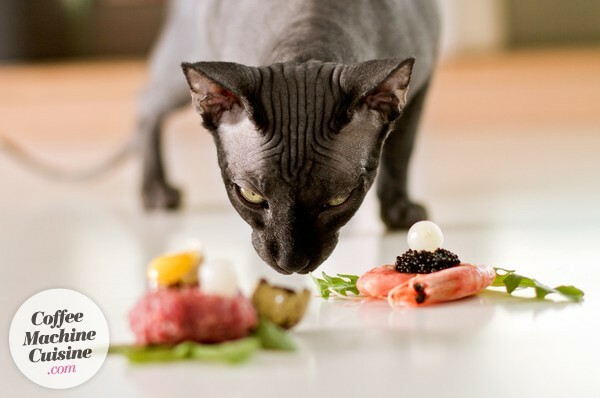 If a cat eat parts of a cat – THAT´S cannibalism. Leave your male cat at the vets in the morning and pick him and “the remains” up in the afternoon. Pour water into the coffee maker brewer and place the balls in the coffee maker carafe. Start your coffee maker and cook the balls until they get a bit more tender – but still with a crunchy core. The time depends on the size of the balls. 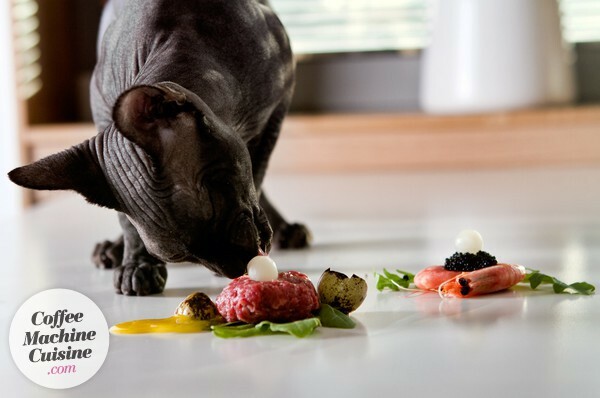 Meanwhile, prepare for the plating that ought to be kind of small portions – suitable for your cat. 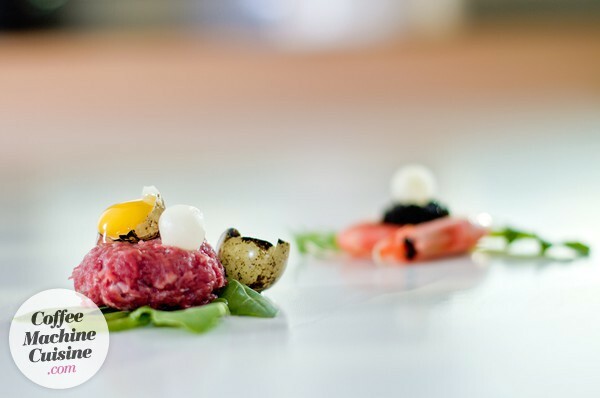 First a small bed of arugula, then a nice and round portion of minced meat and top with an egg yolk and a ball next to it. Since it’s most often two balls I wanted to make two slightly different dishes. First the arugula, then the meat, but now top with shrimp, caviar and – of course – the second testicle. Turn off your coffee maker. Trying to find a suitaball recipe. 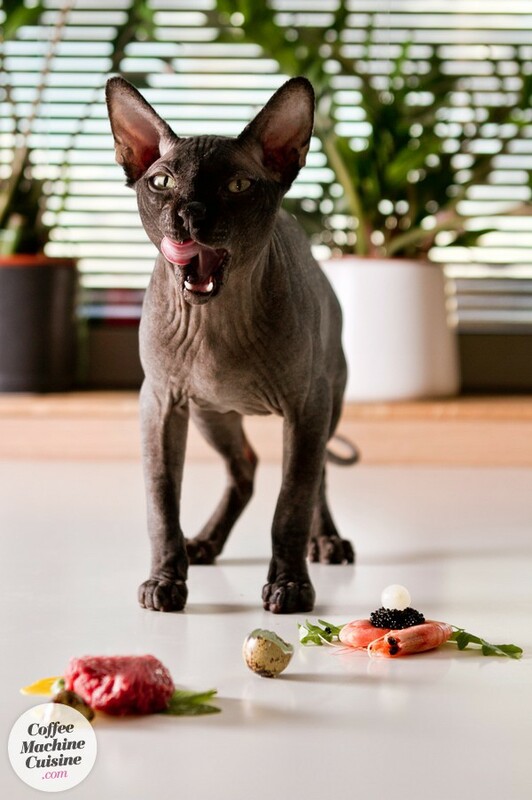 Don’t play with the food, Zappa! 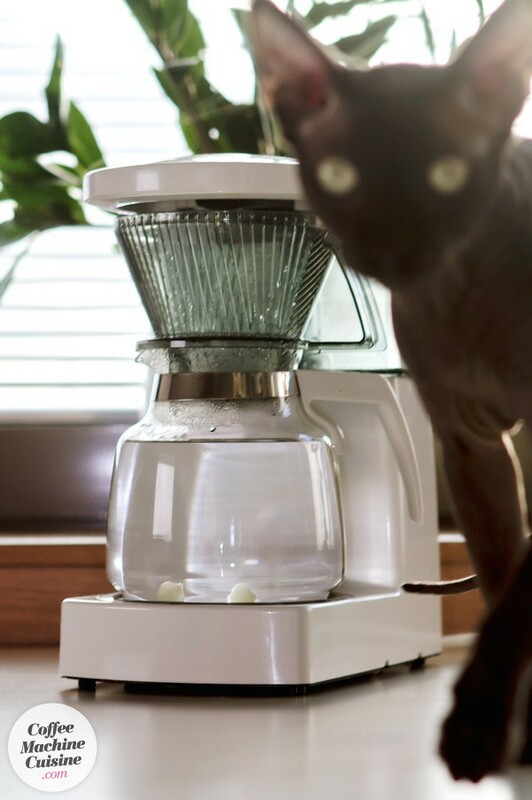 How to cook cat testicles with your coffee maker. 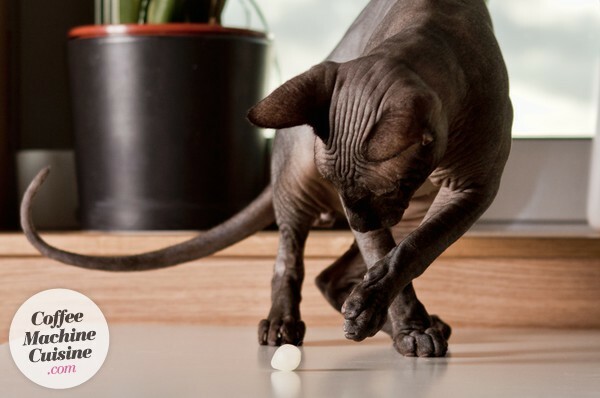 Nice to lick some ballz. Now, that wasn’t hard to understand. Was it?